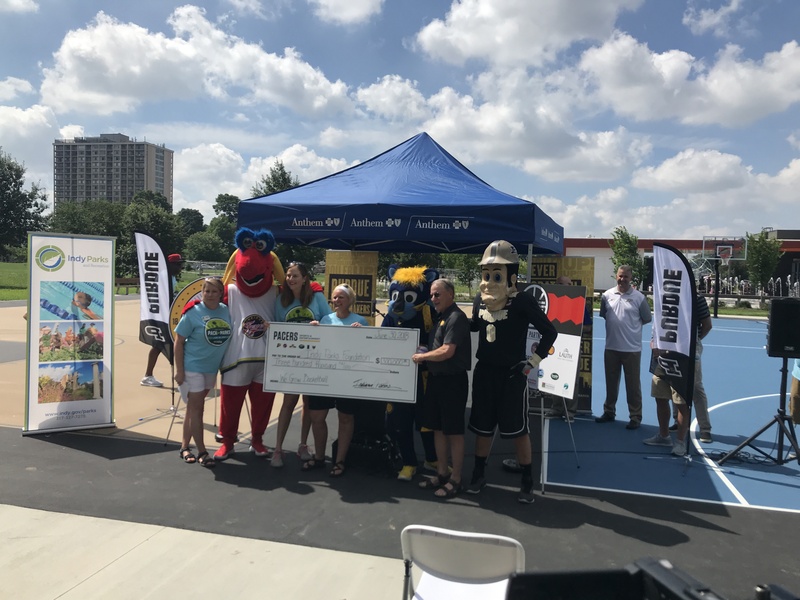 INDIANAPOLIS – (June 30, 2018) Mayor Joe Hogsett, the Indianapolis Parks Foundation, Indy Parks, the Boiler Business Exchange, and Pacers Sports & Entertainment gathered today with Tarkington Park neighbors to celebrate the completion of the park’s renovated basketball courts. The nearly $200,000 investment features an expansion to two basketball courts at Tarkington Park, located at 3967 N. Illinois Street. 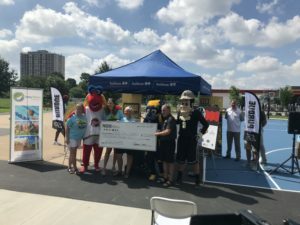 Funding and resources for these improvements was made possible by the collaboration of the Pacers Foundation, Pacers Sports & Entertainment, Indianapolis Power & Light Company; and the Boiler Business Exchange, Purdue Cardinal Community Hoops, and Anthem Blue Cross and Blue Shield through the Parks Foundation. The Boiler Business Exchange of Indianapolis, formed in 2013 to raise the profile of Purdue University in Indianapolis—along with Purdue Cardinal Community Hoops—recruited its members to donate professional services, with construction management services provided in kind by Lauth. Representatives from the Boiler Business Exchange and Purdue University, including Head Men’s Basketball Coach Matt Painter, and former Purdue basketball player, Brian Cardinal, attended today’s celebration. The newly renovated basketball courts are part of recent investment at Indy Parks’ Tarkington Park. Last summer, community leaders celebrated the grand-reopening of Tarkington Park after a nearly $6 million investment which features a modern playspace, a café and restroom facilities, a splash plaza, and other amenities that are enjoyed by neighborhood residents and visitors to Indy’s Midtown. 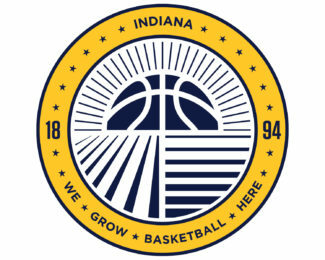 Since 2013, the Pacers Foundation and Indianapolis Power & Light Company (IPL) have invested $1.1 million towards the construction or renovation of 14 basketball courts throughout the park system, including the first indoor court earlier this year at the Brookside Park Community Center. Pacers Sports & Entertainment and the Pacers Foundation Saturday announced a continuation of their partnership with the Parks Foundation to renovate basketball courts throughout the Indy Parks system, and continue its support for the Indy Parks City-Wide Basketball program with a three-year, $300,000 commitment. For more than 20 years, the Indy Parks City-Wide Basketball program has made a positive impact on thousands of youth growing up in Indianapolis. Each year, this six-week program offers nearly 200 young men and women in our city’s urban core an opportunity to build and develop skills, understand the meaning of teamwork, and introduces them to positive role models. Indy Parks City-Wide Basketball is open to kids ages 10 -18 and begins in January. To learn more about registering or volunteering, please call 327-PARK.